News updates on Bagyong Egay, a tropical depression, from state weather bureau PAGASA as of Thursday, July 2, 2015 are posted on this page. As of 10 a.m. today, Egay was spotted 1,520 kilometers East of Virac, Catanduanes with maximum winds of 45 kilometers per hour near the center. It is moving North Northwest at 5 kph, the weather agency reported. 120 hour (Tuesday morning): 530 km East of Calayan, Cagayan. No public storm warning signal has been issued so far. State forecasters said the estimated rainfall amount is from moderate to heavy within the 300-km diameter of Tropical Depression Egay 2015. 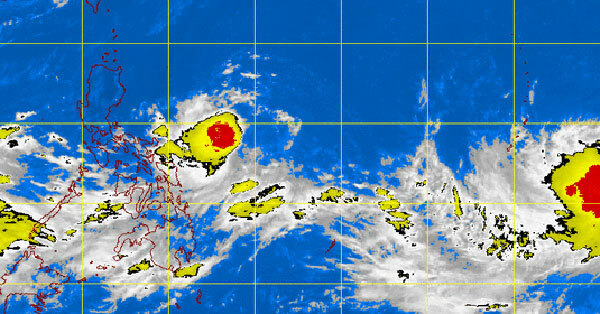 Fisherfolks are advised not to venture out over the eastern seaboard of Bicol Region and Eastern Visayas, PAGASA added.